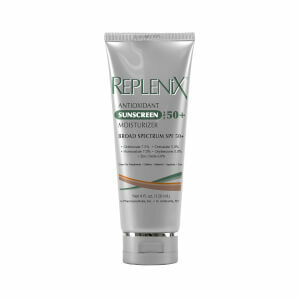 Protect and prime your beautiful complexion with Replenix UltiMATTE™ Perfection SPF 50+. This next generation BB Cream is a luxurious, skin enhancing makeup base with superior broad spectrum UVA/UVB protection. Utilizing the progressive Universal Pigment Technology, one shade blends perfectly with all skin tones, providing a sheer, healthy touch of color while concealing imperfections and minimizing the appearance of fine lines, wrinkles and pore size. In addition, this premium BB Cream with sunscreen ensures all day oil control, gentle hydration, and age defying antioxidant benefits. This might truly be the perfect, multi-tasking SPF 50 cream! Idea for all skin types, specifically post-procedure, melasma, and those with sensitive skin. Apply liberally to face and neck or as directed by your physician. Ideal for everyday use. It's true, it's ultimate perfection! I mix it in with my moisturizer and it goes on like silk for a smooth flawless cover up in one quick easy step. I also love that it has SPF and other great ingredients like Vitamin C and Revesteral. Greasy and over priced. Elta MD is much better and significantly less money. Don't buy it. I am obsessed with this product. I have tried many many tinted sunscreens and this is the best!!! Can wear as makeup as well.....like a BB Cream. No white, great for skin and not drying or orange. Amazing ingredients in it as well. I live at 9000 ft, so I need really effective sunscreen- the rays are super strong here. 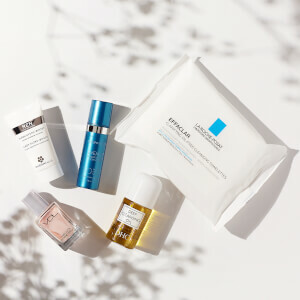 I've tried a number of tinted sunscreens including Skinceuticals and Elta. I really liked the Elta UV Clear Tinted and it has a 9% zinc oxide content. When I saw that Replenix Ultimatte contained 16.2% zinc oxide, I decided to give it a try. I mix in with my moisturizer, SkinMedica Replenish Hydrating Cream (formerly Vivite). I love it! It's matte but doesn't dry out your skin the way many mattifying products do. I recently saw a picture of myself on the ski lift and was pleasantly surprised by how good my skin looked. This sunscreen gives a wonderful, healthy skin, glow. I highly recommend this sunscreen. For reference, I'm 43 with oily skin and occasional hormonal breakouts. I've had absolutely no breakouts from this sunscreen. I like it, especially useful for summer. And, very nice ingredient. This sunscreen is awesome. It goes on smoothly. The tint is so nice that I can go without foundation even though I have some pigmentation issues. Really impressed with the coverage-more than just a "tint" Goes on matte-feels good on-all around winner! I am on my way to ordering my second tube - I have tried numerous sunscreens before that either broke my oily acne prone skin out or left a white cast. The formula is beautiful and doesn't leave me greasy either. This sunscreen goes on so smoothly and the tint is just perfect that I often use it as my base foundation. It leaves a nice Matt finish without any shiny or greasy residue. It's hard to find a sunscreen with so much zinc that it doesn't go on white and feel hard and sticky. This is completely the opposite of that. I love it! It softens lines. I like that the SPF is so high but doesn't make you look like you zinced your face.